eating. The consequences are fatal. Each day, about 3,600 children under five die from diarrhea. Diarrheal diseases in children are still the second most common cause of death. Medical studies show that regular hand washing with soap can prevent half of all diarrheal. In Europe alone, the annually recuring influenze epidemics or severe virus epidemics could be tackled through improved hygiene. The EHEC epidemic in Germany in 2011, or the recently imported Noro virus from China which paralyzed many students in German primary schools, clearly demonstrate the need for regular handwashing with soap. It’s so easy, yet often neglected. 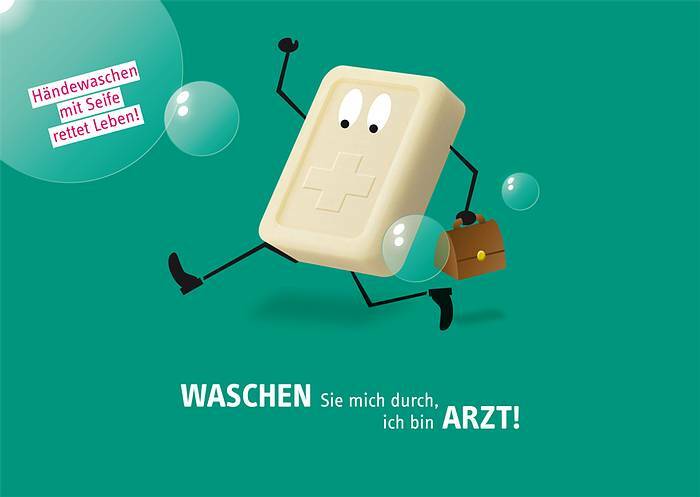 To raise awareness for the need of regular hand washing with soap, the German Toilet Organization e.V. will today celebrate Global Handwashing Day 2012 at Gendarmenmarkt in Berlin – along with students from four schools in Berlin. The art installations by the students will show the importance of hand washing with soap and also demonstrate why toilets are an integral part of healthy living. Around the world, over 200 million people are involved in celebrations in over 100 countries. Global Handwashing is endorsed by a wide array of governments, international institutions, civil society organizations, NGOs, private companies, and individuals. So, what is your local community doing on Global Handwashing Day 2012?